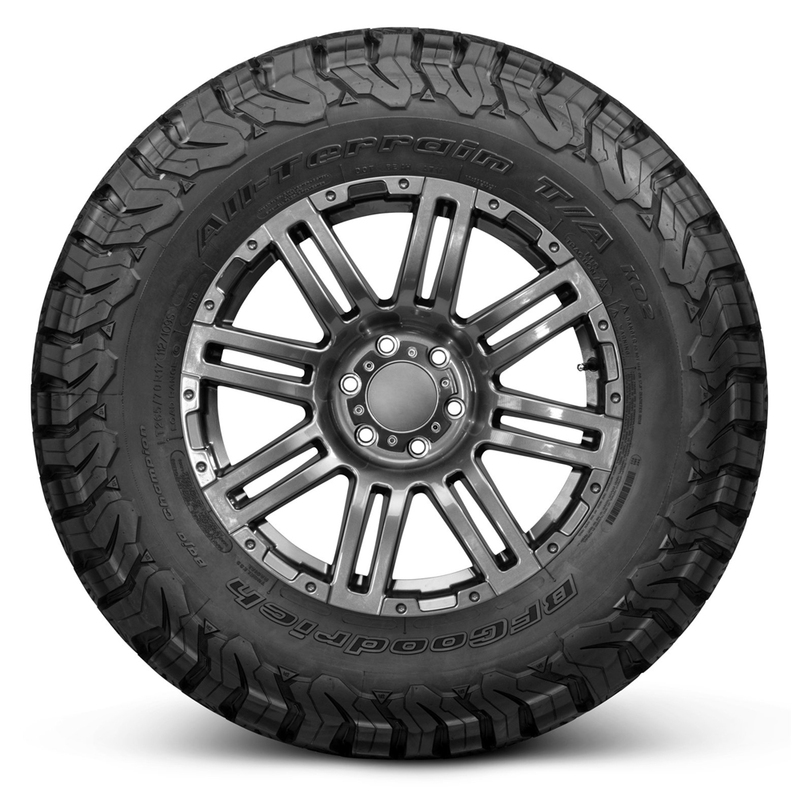 The All-Terrain T/A KO2 is an On-/Off-Road All-Terrain light truck tire developed to meet the needs of jeep, pickup truck and sport utility vehicle drivers who want confidence and control on- and off- road. 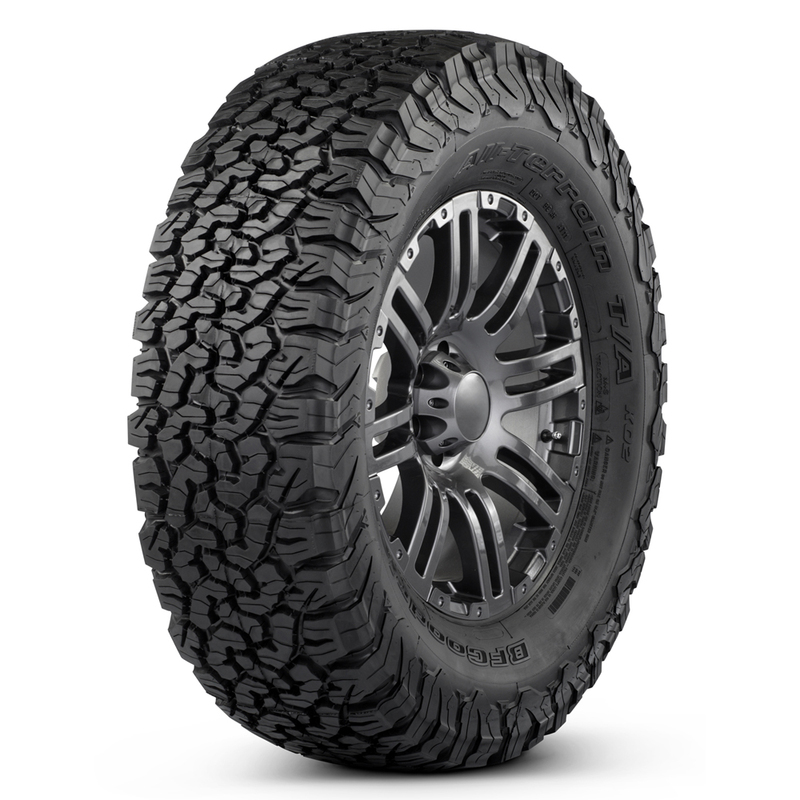 All-Terrain T/A KO2 tires feature a racing derived cut-, chip- and tear-resistant tread compound that delivers longer life. 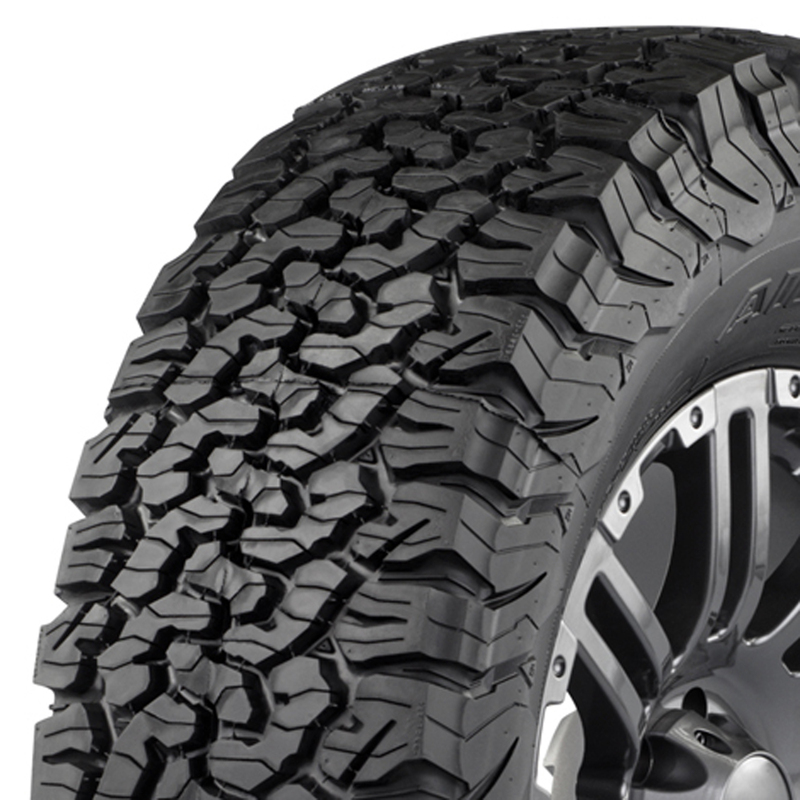 Performance Plus Tire has been a loyal B.F.Goodrich dealer for over 35 years. We have lived through their original merger with Uniroyal Tire and the eventual purchase by Michelin Tire of France. We have sold B.F.Goodrich Radial T/A's through 4 product generations and remember vividly the introduction of the original B.F.Goodrich All Terrain T/A - we have sold it from day one. Members of our staff have even pit crewed for the B.F.Goodrich race team at the Baja 500 Off Road Race. We have grown up with these products and continue to love to sell them.<br>With the support of Michelin, B.F.Goodrich Tire has evolved into a market leader in Ultra High Performance, High Performance, Sport Touring and Street Legal Drag Tires. The light truck lineup is the industry standard with its offerings All Terrain, Mud Terrain, Rock Crawler and Sport Utility Tires. The size offerings continue to lead the market. B.F Goodrich has enjoyed original equipment positions on some of America's finest vehicles.